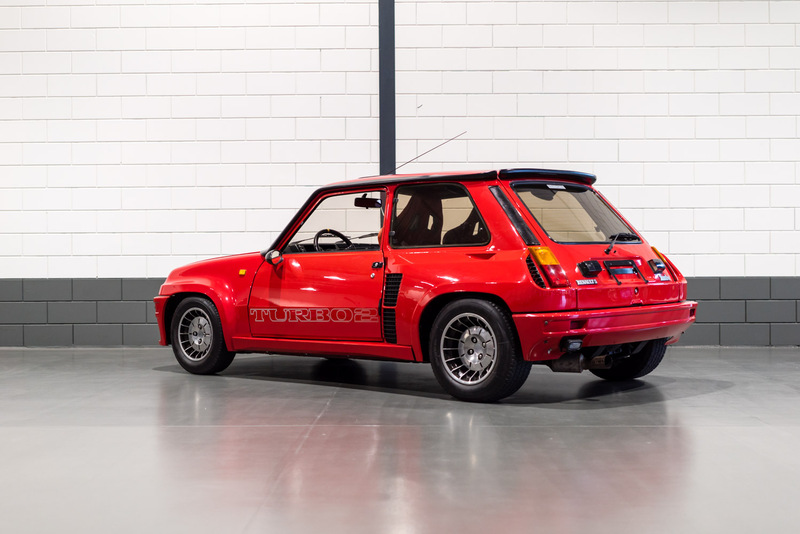 The Renault 5 Turbo is a high-performance hatchback automobile launched by French manufacturer, Renault, at the Brussels Motor Show in January 1980. 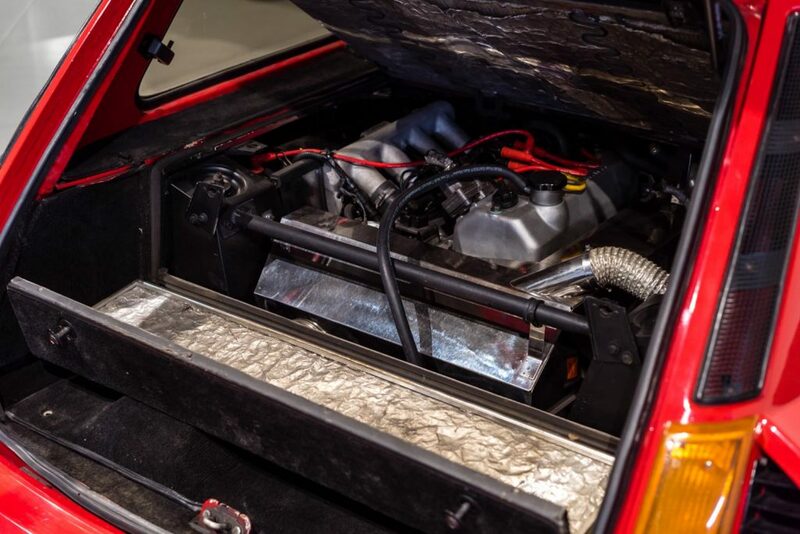 It was their response to the rally successes of the mid-engined Lancia Stratos, and while the car was primarily designed for rallying, a road version was also produced for homologation purposes. 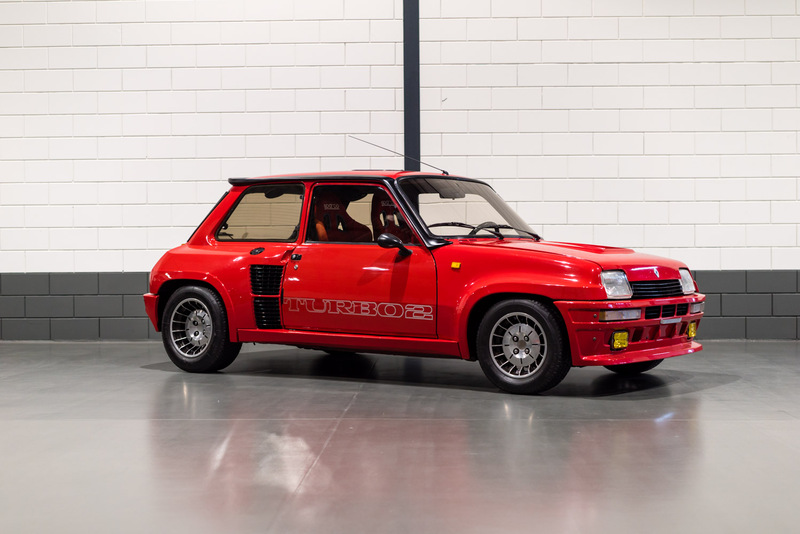 The R5 Turbo was powered by a mid-mounted 1397 cc Cléon turbocharged engine placed behind the driver in mid-body in a modified Renault 5 chassis. 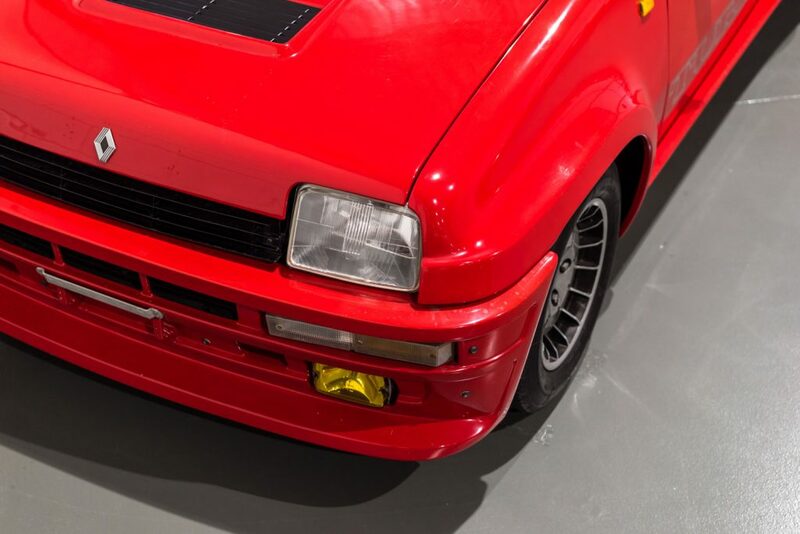 The engine developed a total of 158 HP. 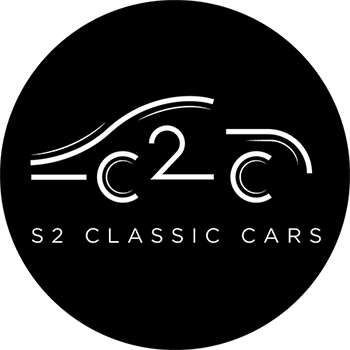 The car made the 0 to 60 mph sprint in 6,7 seconds and can hit a top speed of 126 mph. 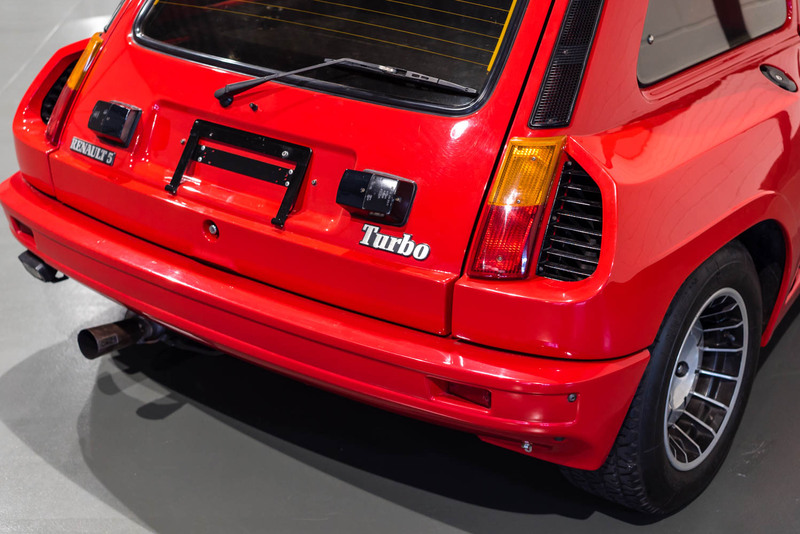 Shortly after, a second model named Turbo 2 was introduced using more stock Renault 5 parts replacing many of the light alloy components in the original 5 Turbo version. Seeing most to many of the Renault Turbo’s and Turbo 2 were used for rally driving not many are left and particularly not in this condition. 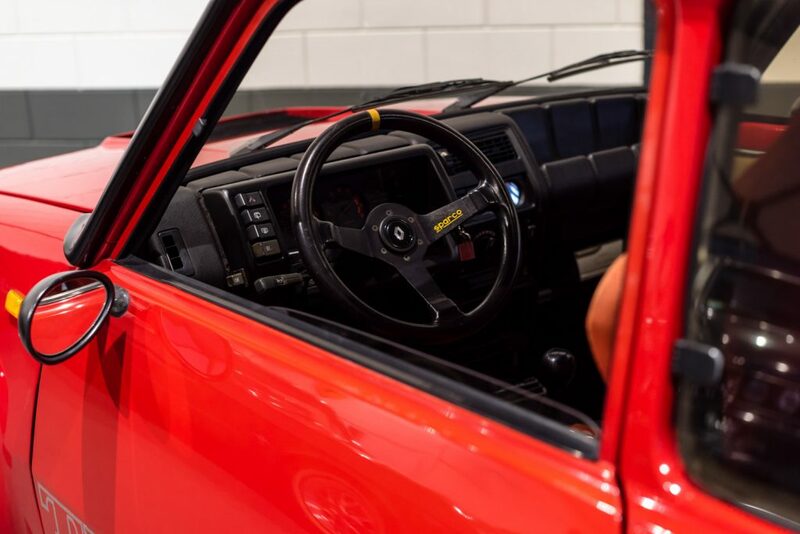 Our Renault 5 Turbo 2 car was built in 1985, modelling a red exterior, interior and carpet set with black detailing. 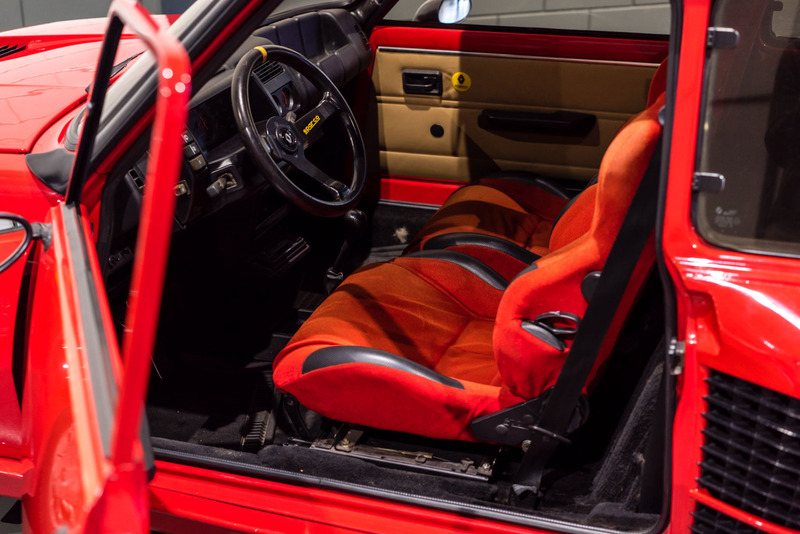 The car has been fitted with racing seats, is a left hand drive with a 5 gear manual gearbox. 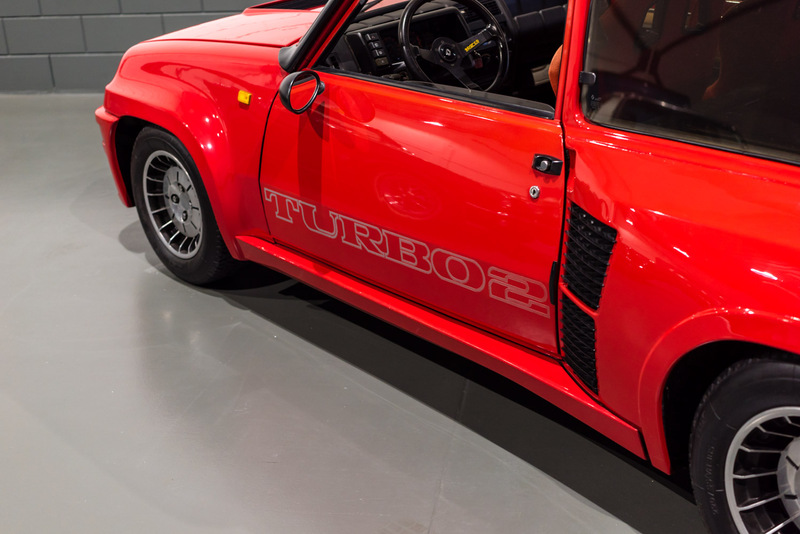 The Turbo 2 is registered in The Netherlands and the mid-mounted engine had recently had an entire rebuild and has only been test driven since.